Each tradeshow varies in scope and target demographic, so it’s important to know what you want to get out of any given trade show before deciding to attend. Helio Base Station emits LED light through specially designed discs whose content is projected onto the ceiling in a soothing contrast of shadow and light. 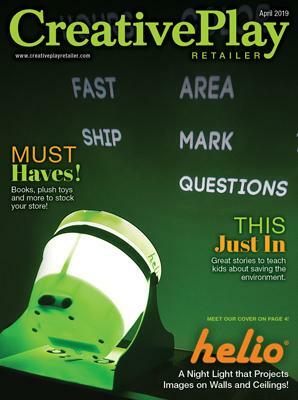 Join our mailing list to receive your magazine subscription and the hottest updates from Creative Play Retailer Magazine. Pack & Stack W.C. Redmon Co. Inc. The African Brush Fire and The Elephant Green Kids Club Inc. Contact us if you have questions, want to talk business or just to say “hello”.